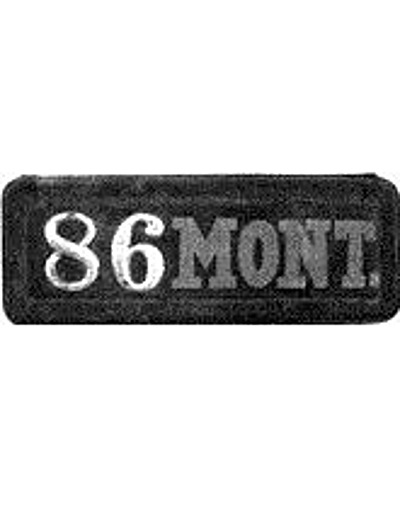 We are not aware of any automobile licenses issued by the State of Montana or its cities as early as 1910, although some leathers are known from the early years of the following decade. Montana began licensing automobiles statewide in 1913. 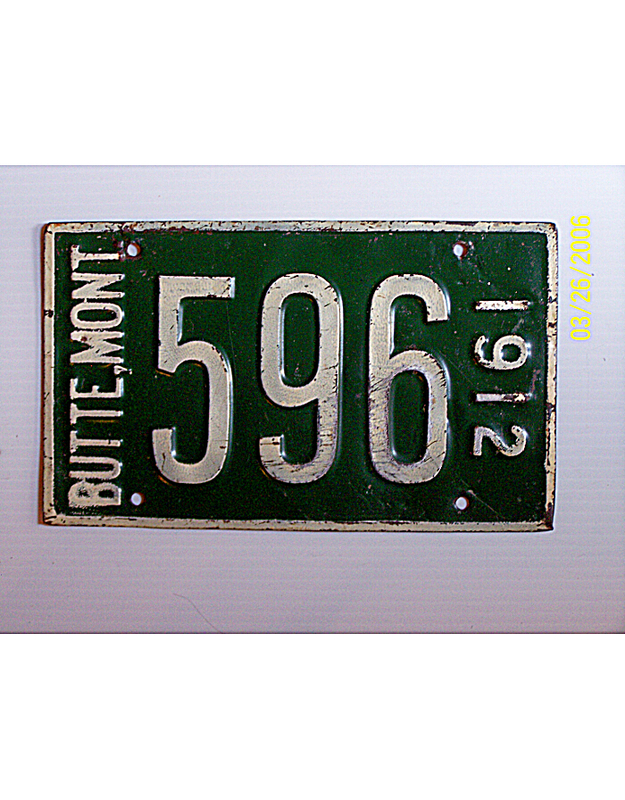 At the time, the state made available to motorists an optional embossed metal pair of plates. 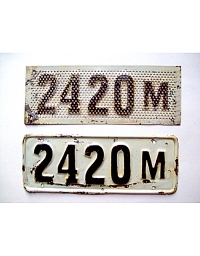 These were painted black on white, with the registration number suffixed by the letter “M”. 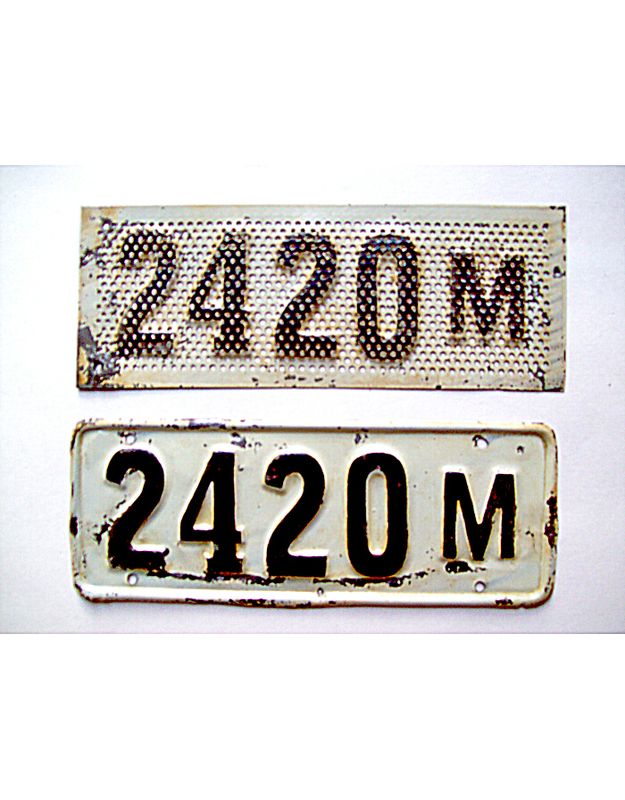 The front plate was perforated in order to allow air to pass through to the radiator. 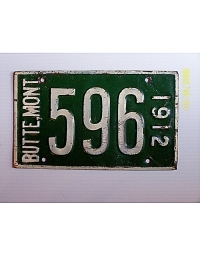 While most Montana motorists apparently purchased these “optional” plates – based on contemporary photographs of street scenes – other types of license plates were used, including leathers.